Compressed gases are gases having a critical temperature (the one above which is no longer possible to liquefy it with compression only) greater than -10°C (14 °F). 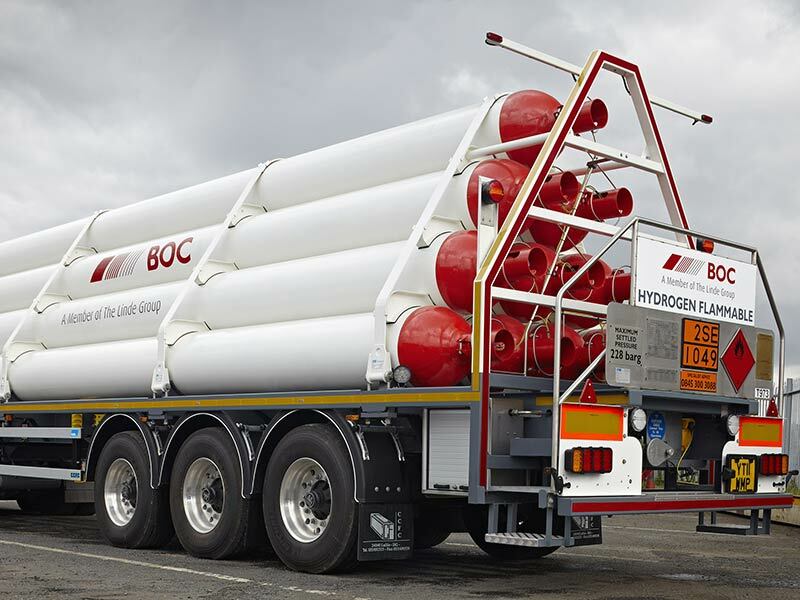 For storage, use and transport reasons gases from this category use to be stored in containers at much higher pressures than atmospheric. 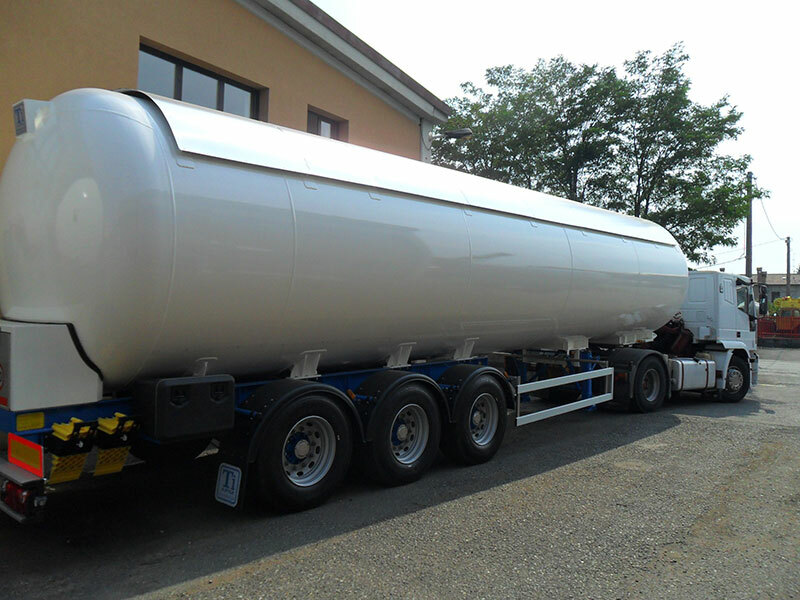 Technoimpianti Apm has been active in the field of compressed gases transportation for more than 15 years now, through partnerships with leading world producers of type I (all-steel) and type IV (totally made of non-metallic material) cylinders. Since payload maximization is the main customer focus for this category, the experience by TiApm in deliverying high quality vehicles fully compliant with applicable regulations combined with spasmodic research aimed at maximum performance attainable in terms of tareweight makes our product more performing, ensuring our customers a competitive advantage difficult to overcome. 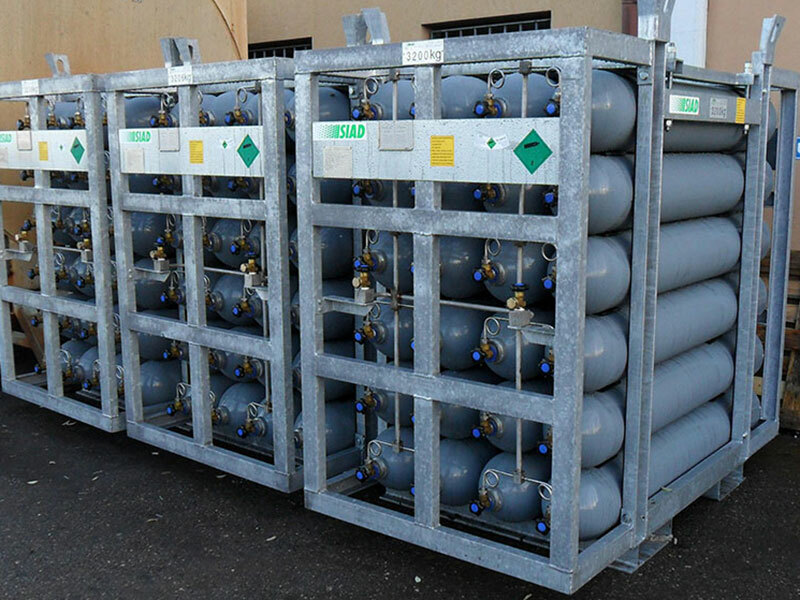 Unlike the bundles, compressed gases MEGCs are commonly used for high pressure (typically 200÷300 bar) gas transport and distribution in large quantities. 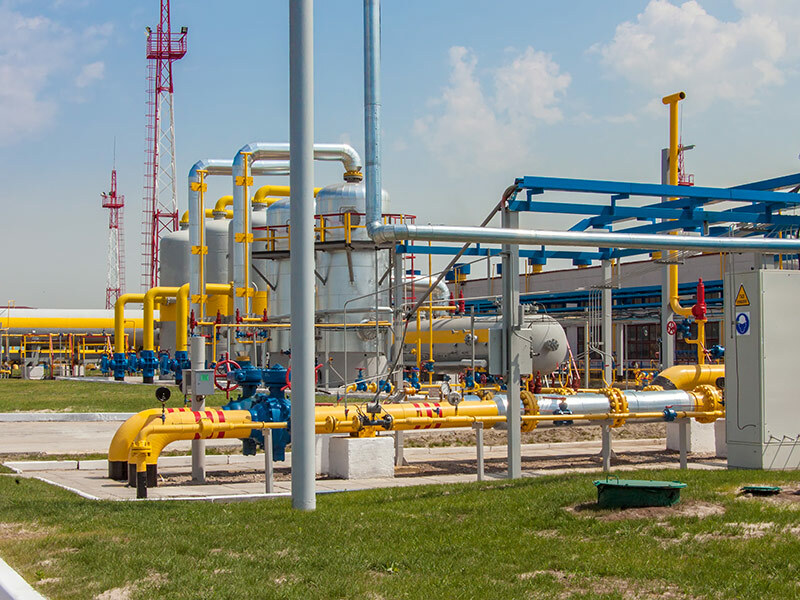 TiApm can provide bundles for the transport and distribution of any type of compressed gas, with ADR approval only or also RID / IMDG.